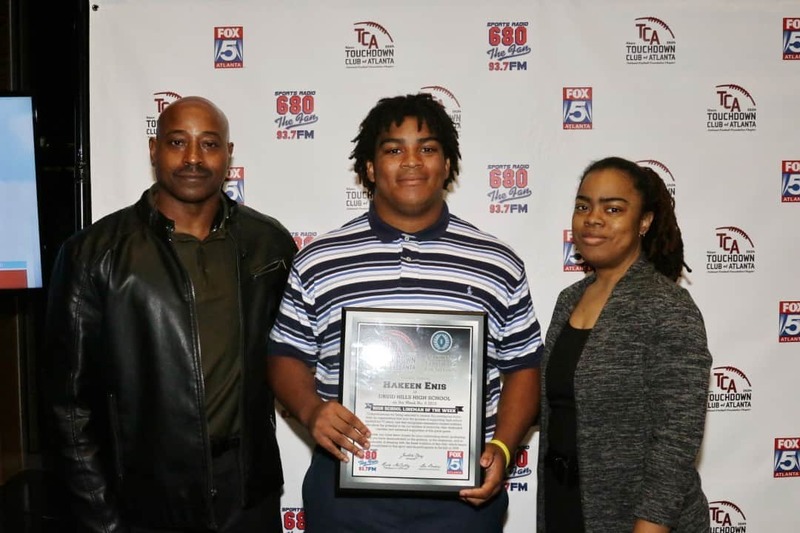 Hakeem Enis, DT Druid Hills 6’0” 275 lbs. Hakeem recorded 14 tackles, 7 TFLs, 3 sacks, caused a fumble and blocked a field goal Friday night against the Dunwoody Wildcats in a resounding victory 34-0.. Enis and the Red Devils are 3-2 for the second time in as many years for coach Adams. Hakeem is a force at his DT spot and he and the rest of the Devils are looking to finish out the rest of the schedule against 5A Region 6 Div. A teams. If they can find two more wins, it will be the first season at .500 or better since 1993. Good luck the rest of the way to our Lineman of the Week, Hakeem Enis.